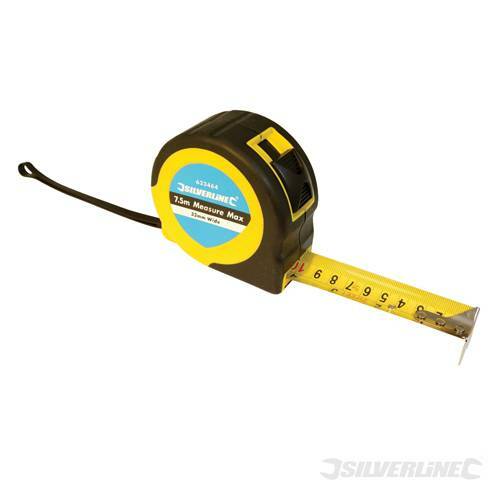 Super heavy duty tape featuring soft-grip, impact-resistant case and triple-riveted tip with wraparound reinforcement and extra-thick, 32mm wide tape. Metric and imperial graduations. Features blade lock and automatic blade return. Conforms to EEC Class II.